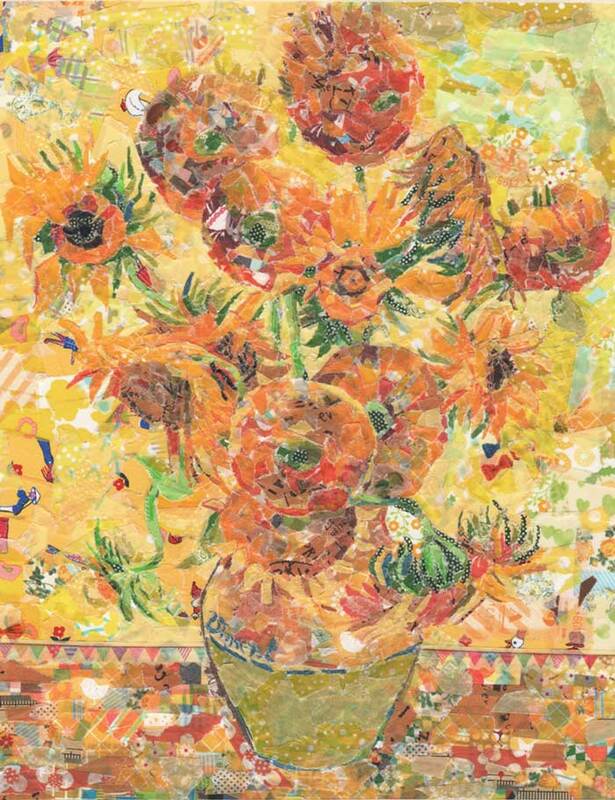 The artist Nasa Funahara is a senior at Musashino Art University in Kodaire, Japan, majoring in oil painting. 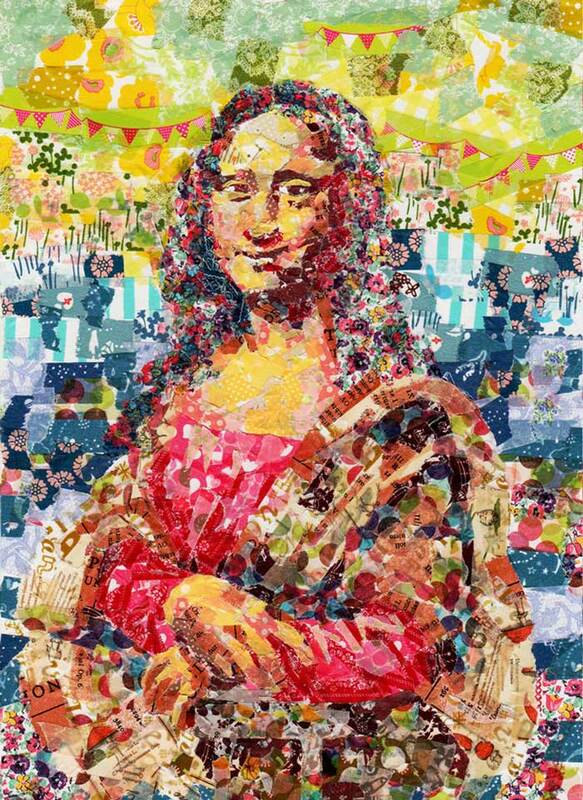 Funahara creates amazing replicas of great works of art using colored tape and ribbons. 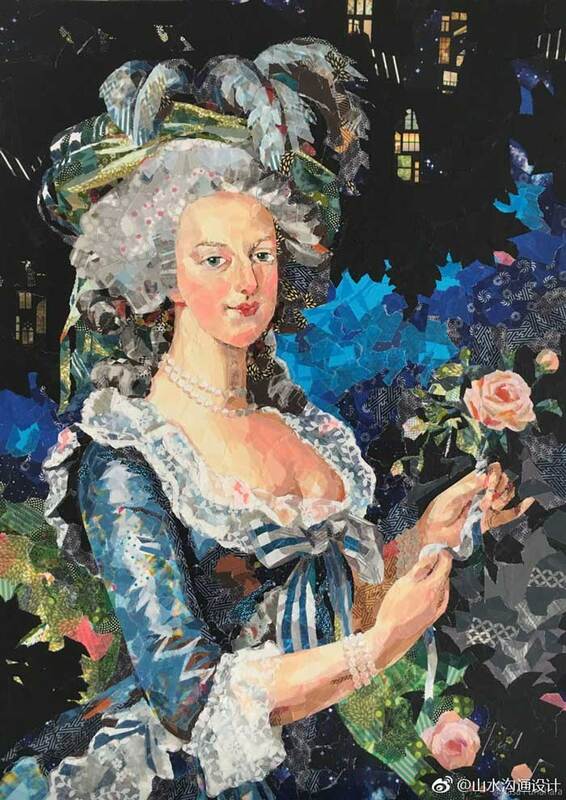 This interesting form of art was developed by her unique hobby of collecting masking tape. 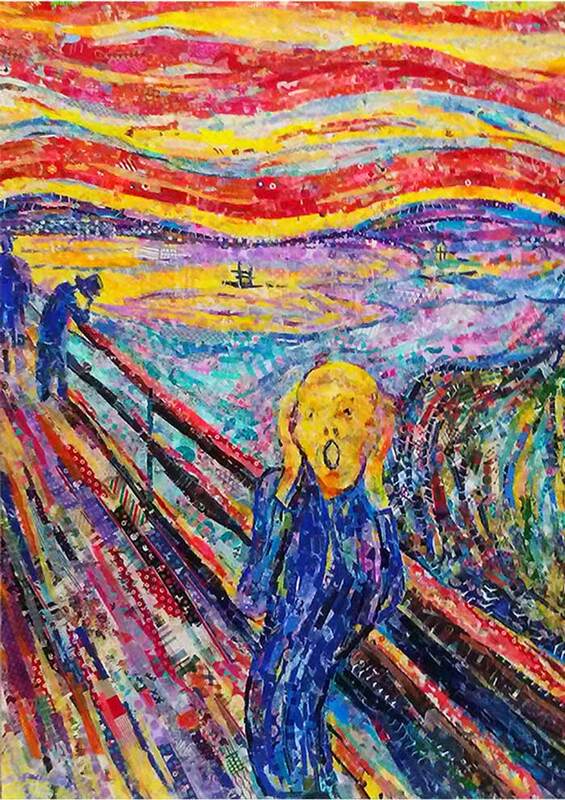 “I own about 450 rolls,” she said, “Whenever I find a color or pattern that I like I end up buying it.” So it was only a matter of time before this massive collection turned into a creative outlet for the talented artist. 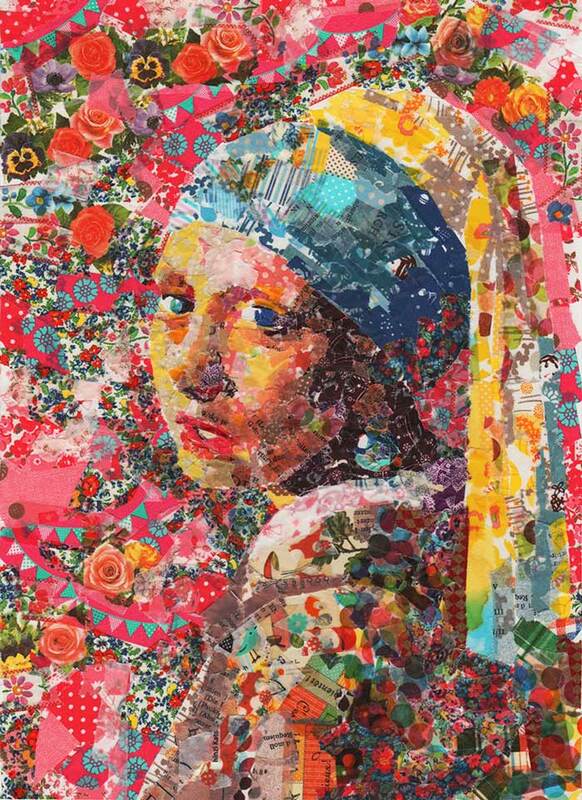 These masking tape art pieces include works from famous artists like Vermeer, Da Vinci, and Van Gogh. 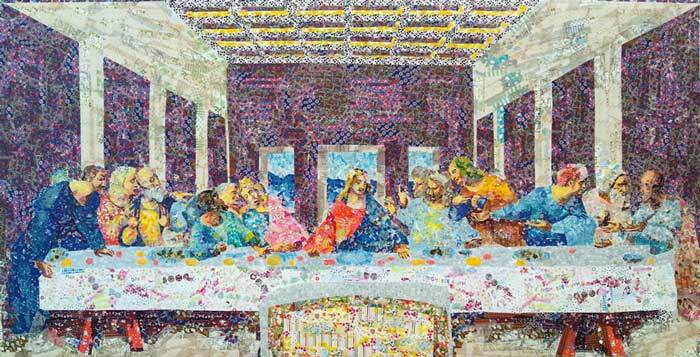 However, Nasa’s creations are no longer paintings, but compositions of small adhesive pieces, each one taking about a week to complete. 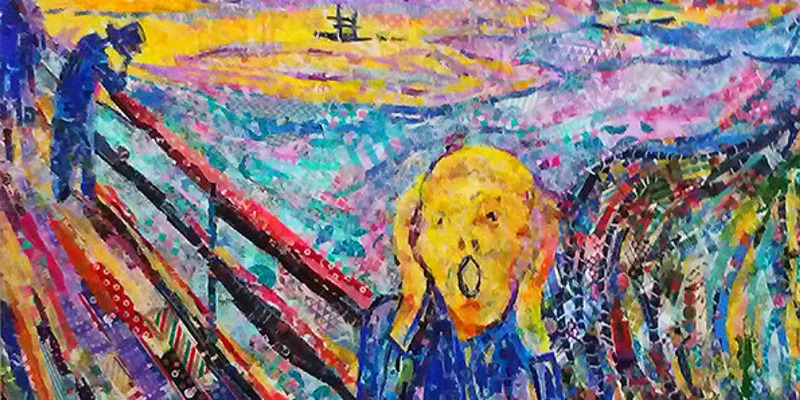 The series originally began as an art project for school, and she received a very good reaction to the work. After noticing the overwhelming feedback, Nasa decided to turn her artwork into a regular series. Each work is somewhat on the larger size. 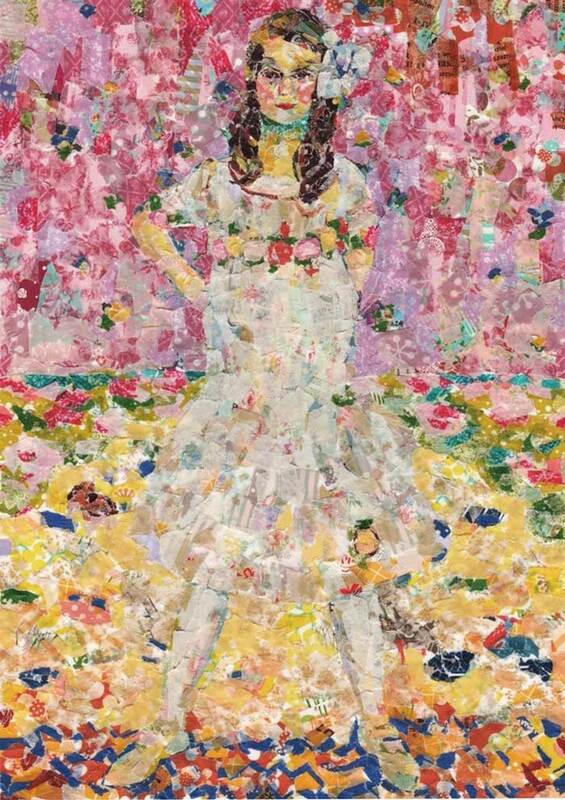 Funahara works from an image of the painting in front of her but primarily uses freehand to cut and paste the bits of masking tape as she builds out her creation. The patterns of the masking tape create a stimulating visual experience for the viewer, due to her use of bright and vibrant colors. Funahara uses a masking tape made from Washi, a traditional Japanese paper that comes in all sorts of colors, patterns and designs, which, apparently, has become an ornamental media in Japan. With a collection of hundreds and hundreds of rolls that continues to grow, so does Funahara’s body of work. The artist continues to add amazing art pieces to her collection, and even being privately commissioned by numerous organizations. Next articleModern Bedroom designs to LOVE!